We're transitioning into Fall, but NYFW has me thinking about Spring 2015 already. Once again, there are a lot of floral prints on the runway and it looks like the menswear trend is here to stay. 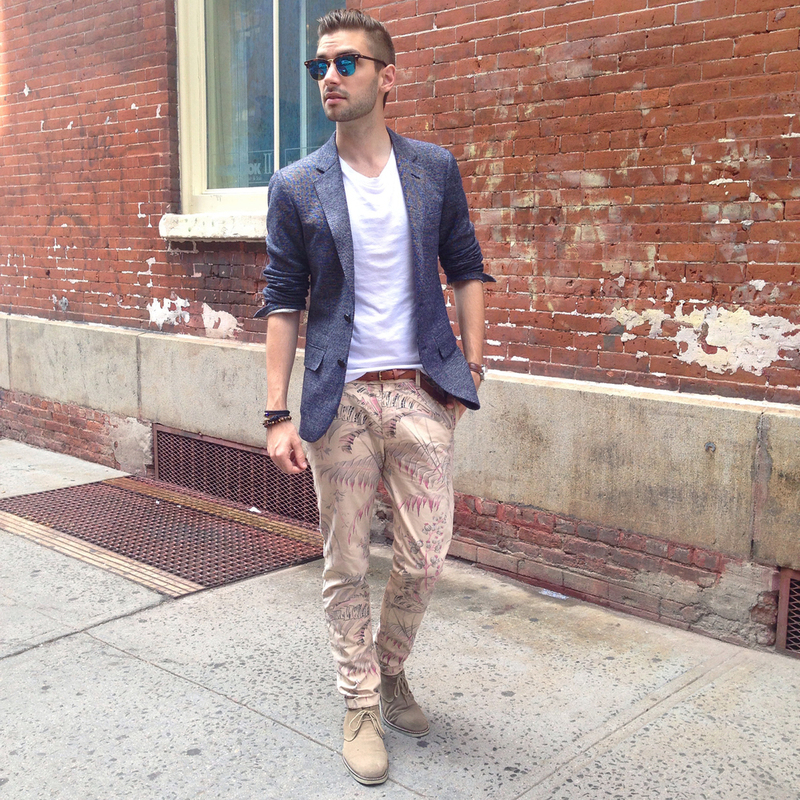 I wore my Scotch & Soda palm print chinos with desert boots and a blazer for a seasonal mashup. A white tee and tight pallet tone down the boldness of the print. I'm loving what I'm seeing on the runway so far. You got any fav's yet?? Let me know!